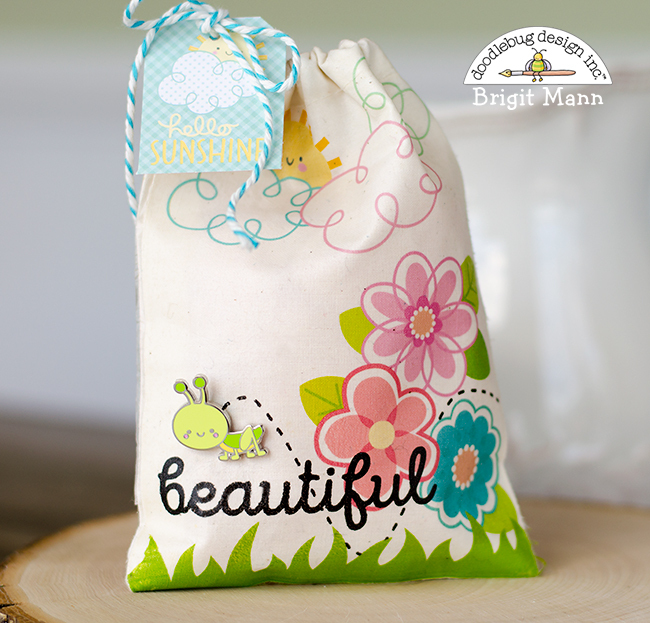 Hello Doodlebug Fans, it's Brigit here to share a fun project using the Collectible Pins and some Doodlebug cut files. So many people love to collect pins and I thought this project would make such a unique way to give one as a gift to somebody special. I hope you've enjoyed these projects, thanks so much for stopping by and have a wonderful day! Very cute, but the receiver would have to be a really good friend for me to give up a pin! Be hard to give up the pin, but you could leave it off. 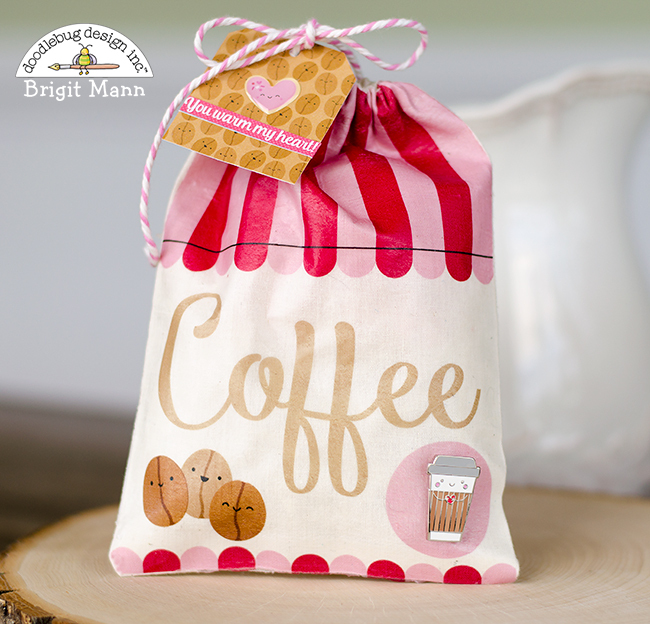 On the coffee bag put an initial in the pink circle and on the other, you could do a grasshopper iron on or even a butterfly. Very cute and clever idea !!! So darned cute!! I don't know if my older Cricut can do that, but I'd like to find out!! 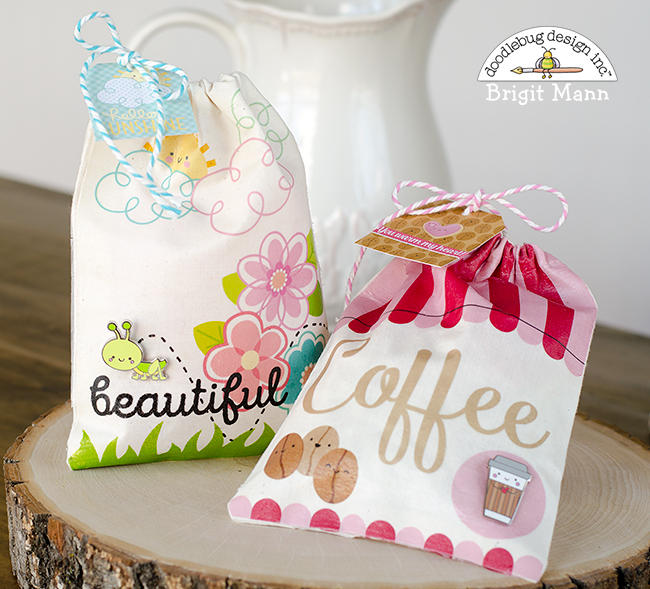 These are too cute Brigit! I'm in love with the idea! Oh wow!! How clever! Love these!!!! Being able to trust is an important part of life. And this not only relates to trusting other people, it also relates to trusting oneself. Having trust in life, is another expression of this. This could be trusting in some kind of god for some and for others it could simply be a sense of trust in life. Or what is known as faith to some people.